Not every advertising campaign is the same; there are good ones, bad ones, negative ones, and even viral ones…. Then there is Healthcare Advertising. Within healthcare advertising we also have good publicity, bad publicity, and even more so viral advertising, although everyone that has worked on the healthcare sector knows that it has its own set of rules. I have been fortunate enough to work for over half of my career on healthcare advertising with pharmaceutical labs such as Janssen, Abbot, Astra Zeneca, Nycomed, Pfizer, GSK or Wyeth, among others. And I say fortunate because you have to be very creative to work on such complex briefings, strict rules and specialized targets. Currently I work as an Executive Creative Consultant with Janssen Spain in some of their best products, and verify something that I was already aware of: Healthcare Advertising can be as great as any other. To create an interesting campaign it’s always better to have a story to tell. Well, with Xeplion, by Janssen, we had that premise from the get-go, when we were commissioned their star product launch in Psychiatry. It is important to mention that we had to follow international product advertising guidelines. Taking into account that we did not have any healthcare clients at the moment we had to prove very quickly that we knew and understood how to sell the product in a unique way, with a new focus and proposing original actions and pieces. Always counting with the support of the lab’s marketing team, we proposed Ad pieces for the launch that no other country had proposed. Always respecting the international guideline, we evolved the concept to make it work in our favour. We tore down some preconceived notions, both with doctors and strategy wise, in regards to selling the product advantages. And we succeeded in placing Xeplion Spain as a leader for Janssen in EMEA (Europe, Middle East and Africa). For the product launch we proposed a box where the last fifty years of Janssen’s innovation transform into a plasticine block. The leader of the new future and new medication. A teaser piece that worked to get things going. Later on, we went into detail about Xeplion’s advantages. We created a brochure where we emphasized the need to “break” the routine of using current treatments, by having to literally break the first page of the brochure in order to discover a datebook full of new plans, instead of reminders to take the medicine. During medical conferences, we asked the attendees to explain the advantages they saw in Xeplion. But they had to do it with plasticine. The results were spectacular. 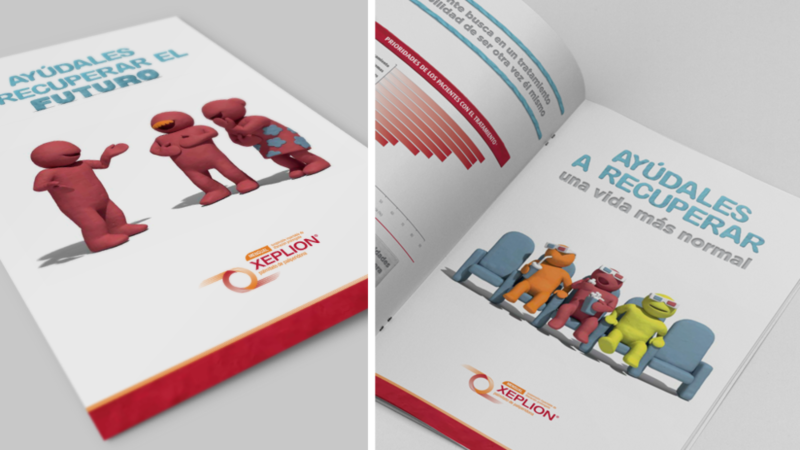 And with the work of all the physicians, we created a brochure/story that explained all the benefits of using Xeplion. With this simple brochure, and using very few movements. We got to portray the real difference between Xeplion and a conventional daily treatment. As a result, we were very successful at convincing doctors. To continue improving the positioning of Xeplion in the Spanish healthcare market, we decided to make the emotional benefits of the pharmaceutical as clear and evident as possible. Xeplion is a treatment for people that have a lifelong disease, and proper treatment can help people enjoy more fulfilled lives. The concept for this new marketing approach was: "A better future is already possible"
A better future for the patient, for their relatives, and of course, a treatment that is also better for doctors, who can now treat symptoms more effectively. We developed a battery of new concepts, new pieces and new images to launch this new positioning. Initial concepts played with contrasts. 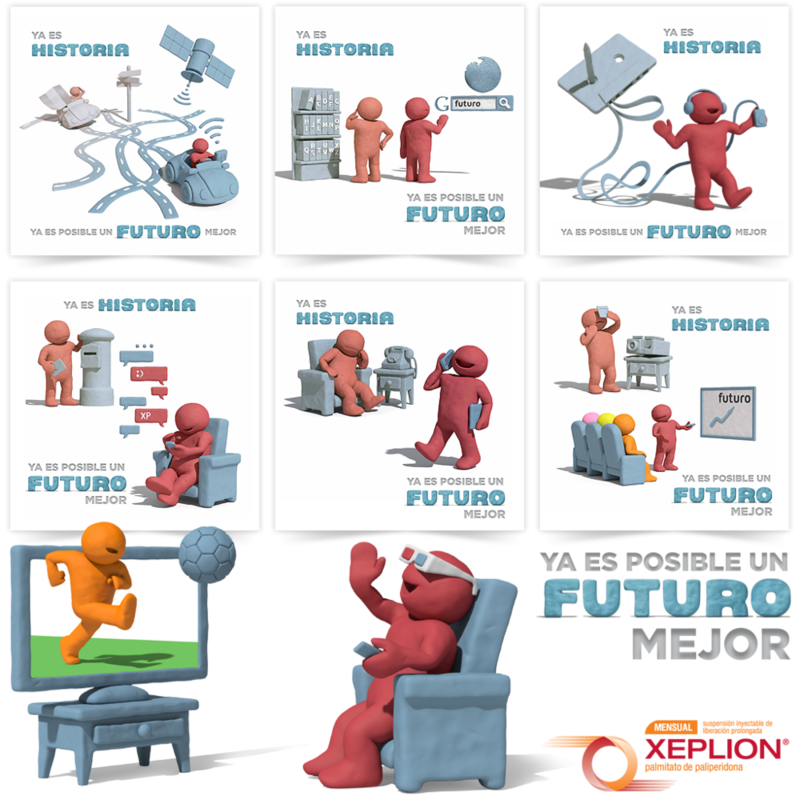 "It is already history " vs. "A better future is already possible." Fred throws to the garbage can old "clunkers" to choose a new path. We designed multiple images to ensure that physicians understood the concept. All of them portrayed the same idea: Not to say that it was bad before, but there is something much better now. A clear comparison between other treatments and Xeplion. We created a website called “yaeshistoria.com”(it is history now.com), where doctors can compare older inventions from the past, with the newer and more efficient versions. 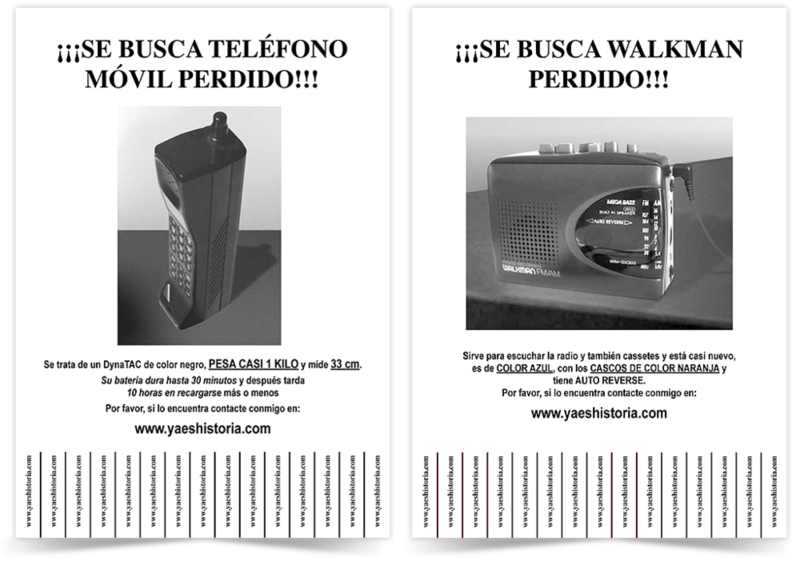 Publicity in health centers and hospitals used to imitate lost and found signs, only with objects completely behind the times that offered more inconveniences than advantages. Constantly evolving, work is focused on returning the patient back to a normal life. Thanks to treatment with Xeplion, Fred can now recover part of his life, and so can his relatives. And of course Xeplion is in the App for iPads. We designed a lot of Xeplion Apps. We even created several ‘Fred’ avatars, with characteristics stemming from medical needs that doctors reported to health visitors. But not only have we worked for Janssen on Xeplion, we also created countless pieces for other products of the company, such as Pariet, Risperdal Consta, among others. Some of the work done for Janssen, including Pariet, with a new product re-launch campaign. Also featured, Risperdal Consta, with the concept "DLT Collection", where we created a fictional character that would be our gifts star designer. 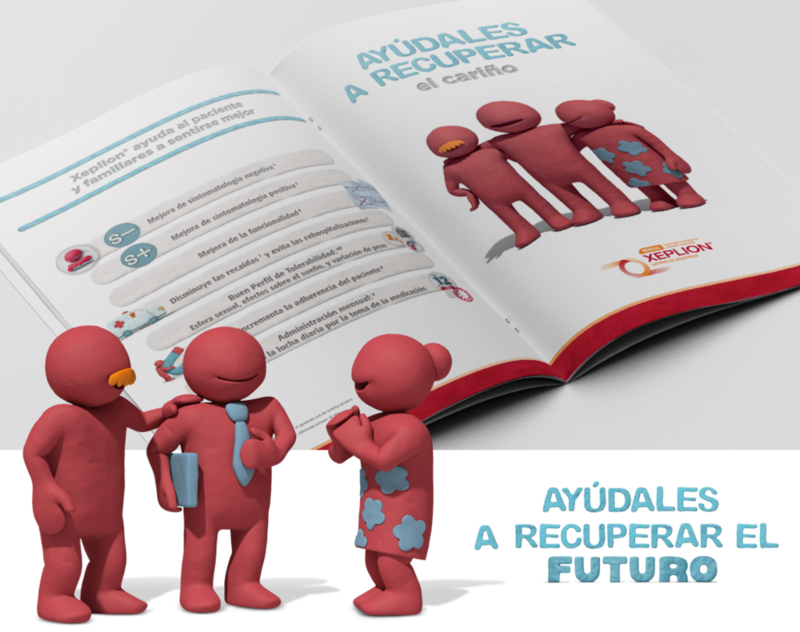 When Janssen called us to create a campaign of awareness of health issues associated with the liver that could be prevented by taking care of ourselves we did not hesitate to participate. We got in touch with the Spanish Red Cross to propose to them a joint venture that would help both brands achieve their goal. 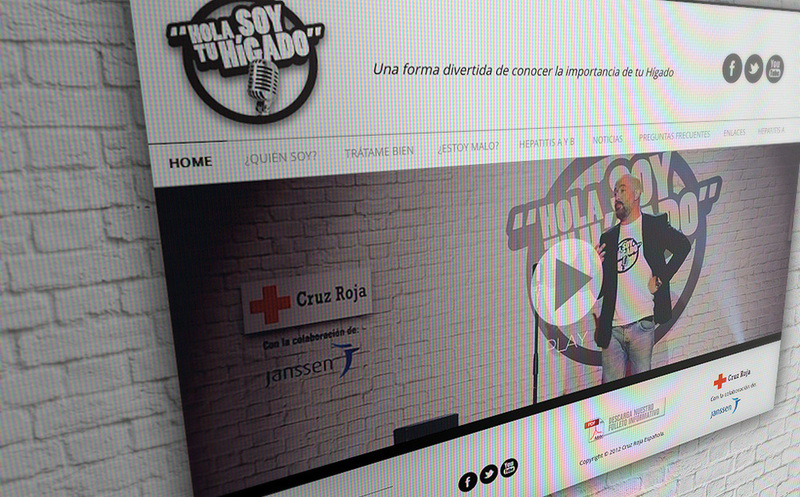 The idea was to create a series of stand-up comedy monologues with some of Spain’s best stand-up comedians. Informing, in a fun way, about the problems we could suffer with our liver because of neglect. And so, "Hi, I'm Your Liver", was born, a health prevention campaign totally different than anything proposed before. We reached the general population and our target audience via a series of monologues presented live throughout the whole Spanish territory, with interviews to renowned medical specialists in the cities where the monologues were performed. All of this in conjunction with an online marketing strategy that accomplished over 6,000 followers on twitter, and more than 350,000 clicks on the star monologue of the series. Not bad for that great unknown, the liver. 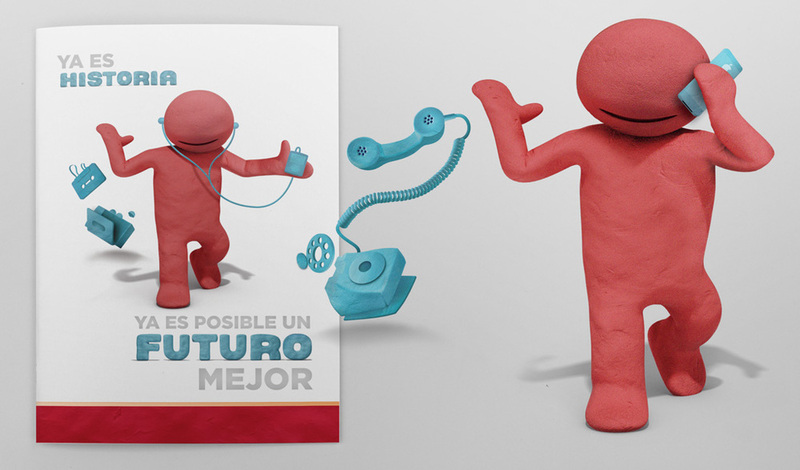 'Hello, I'm your liver' the campaign to Janssen and Spanish Red Cross. More than 350,000 clicks on the star monologue of the series. Over 6,000 followers on Twitter. 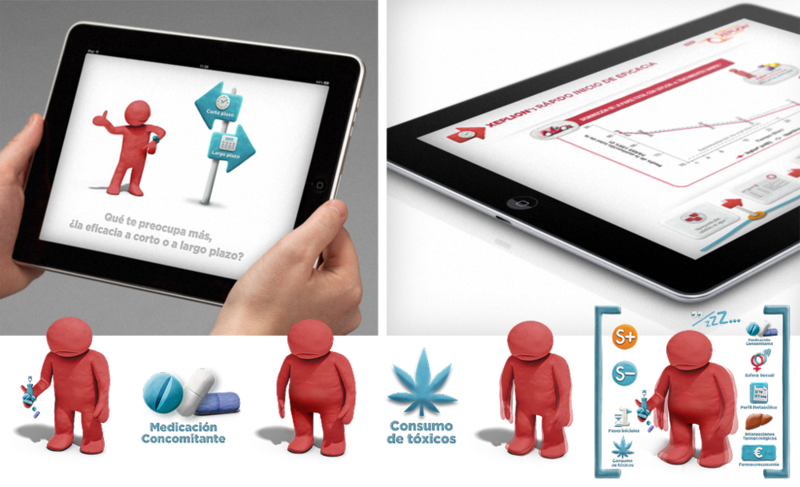 This is a small sample of some of the work developed for the healthcare industry in the last two years. I hope to expand this part of my portfolio very soon.